COCOR SPA, as a unique structure in Romania, combines the tradition of natural rehabilitation therapies with the most suggestive Wellness rituals inspired by western and oriental cultures. 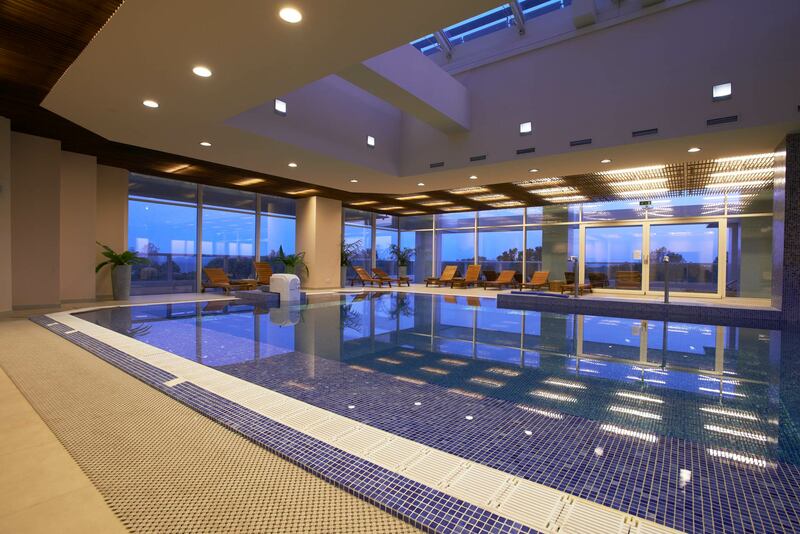 The design and the polysensory elements offer guests a charming atmosphere and relaxation. 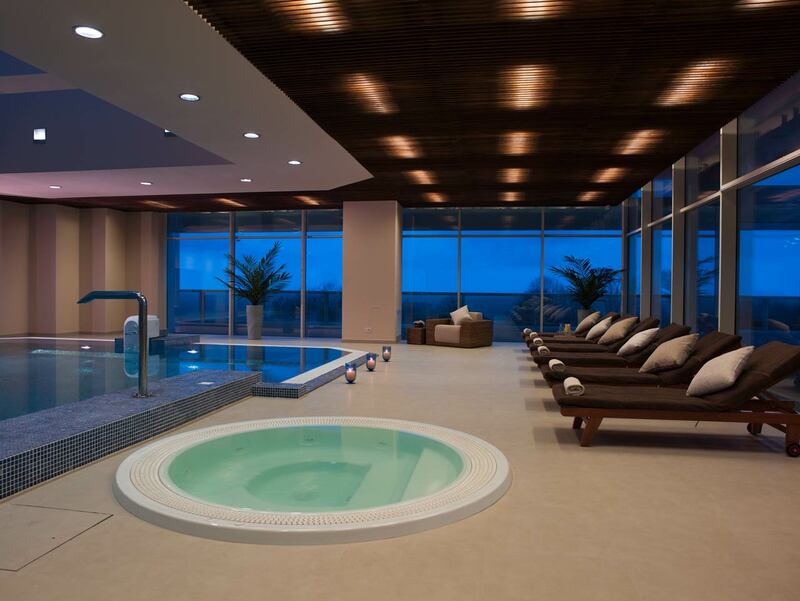 Unique and impressive, the COCOR SPA sanctuary is the universe where our guests will discover the true state of well-being and inner harmony. The professionalism of our team, the quality of the treatments and the variety of selected products (Thalgo, YonKa – France and Gerard’s-Italia) will satisfy even the most demanding expectations. The Cocor Spa Hotel offers its guests 242 accommodations as well as the comfort of the 4 stars that have been gained from the vast investments made in recent years. The rooms offer stunning views of the garden or the animated panorama of the outdoor pool. 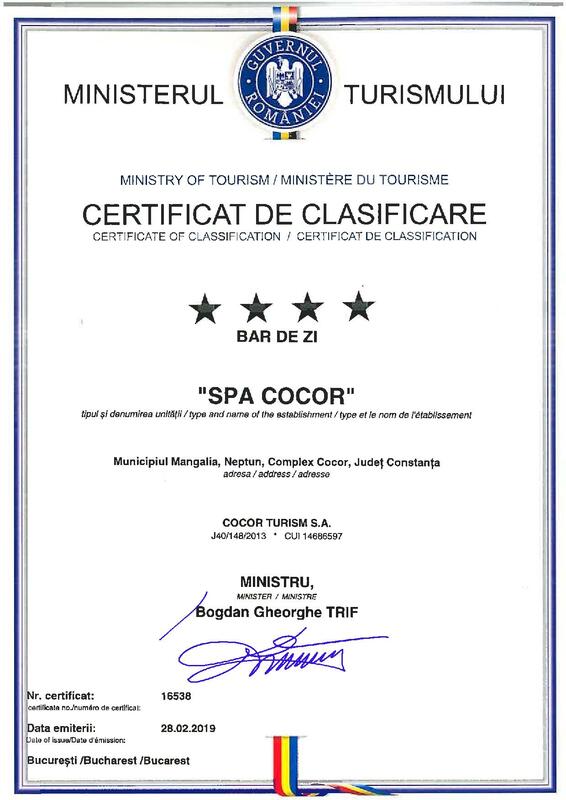 The COCOR SPA HOTEL Restaurant and Bar invites you on an exceptional culinary journey backed by the distinctive atmosphere, the refinement of the dishes and the beverages, the relaxing design and the generosity of the spaces, the quality music, the exuberance of the green terrace, all accompanied by the perfect service quality . The international cuisine is at the height of the most refined tastes. 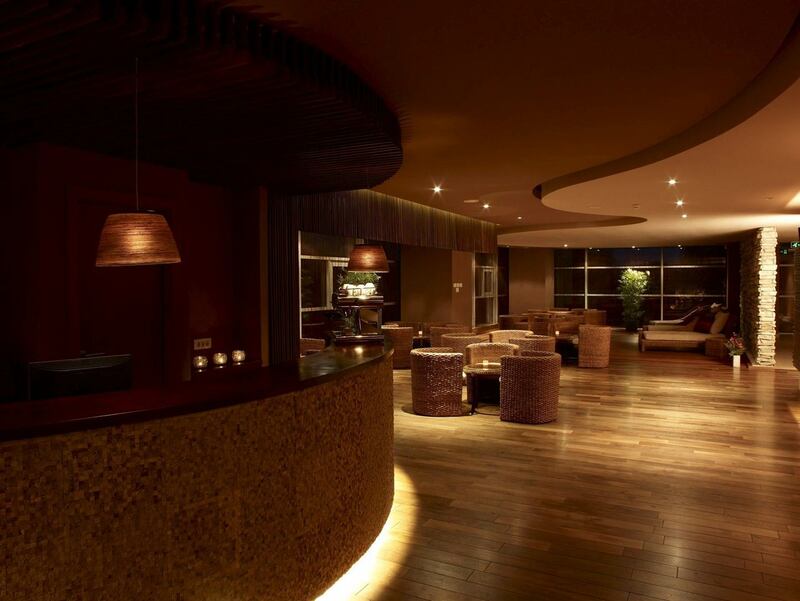 Since 2008, COCOR SPA HOTEL offers its guests the quality of clubbing in the purest essence by inaugurating the VISION CLUB. An exceptional asset, VISION CLUB stands at the level of any famous club, hosting numerous animated parties by DJs and dancers from abroad: BASSTONE, MASSIVE, AFFECTA, DJ DOOLS & FANTASY SHOWGIRLS, DJ JERRY ROPERO, DJ CRISTIAN DRAK, DJ MadMILES and WILD CATS SHOW (Cape Town, South Africa), LUXURY DECADENCE & DJ JUANJO MARTIN (IBZ/MADRID), DJ ELIZABETH (Moscow), DJ CARLOS GALLARDO (IBZ, MAD/BCN/PALMA), Special Guest LA MENOR. All our parties aim to bring joy and smiles to the little ones, because we want to thank every client, regardless of age. With us, parties turn into unforgettable holidays for your child! For more information, we are here to help. Check out our latest offers and get your dream holiday at the discounted prices. To make sure you get our discounts in time, subscribe to our mailing list. Book ahead and enjoy your stay! Cocor Group consists of 6 international famous brands, each of them offering high quality and luxury services for a true 4 star experience. SC Cocor Turism S.A. processes your personal data by automated means provided by you through this document, namely: first and last name, date of birth, nationality, telephone number, email address, signature, serial number and identity card number. Your data is required in view of the activity of the hotel and tourism service provider. According to Law no. 677/2001, you have the right to access, to interfere with the data, the right not to be subject to an individual decision. You have the right to oppose the processing of your personal data and to request the deletion of the data. In order to exercise these rights, you may address us with a written, dated and signed application to: S.C. Cocor Turism S.A. – To Ms.’s attention. Popa Liliana, at: Bucharest, Sector 3, IC Brătianu Blvd. no. 29-33, 3rd floor, room 1. You are also granted the right to appeal to the courts. Registration Number of Cocor Tourism S.A. In the personal data recorder register is 8097. © 2019 | Cocor Spa Hotel All rights reserved. 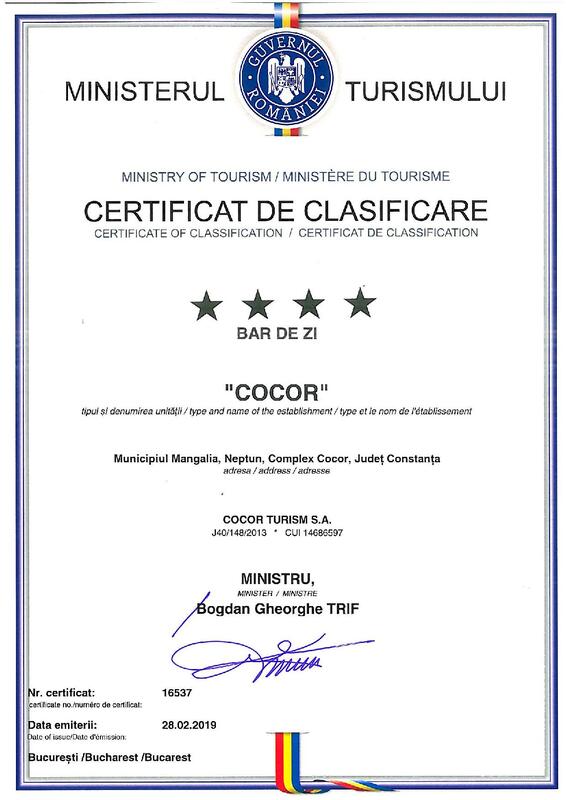 S.C. Cocor Turism S.A. prelucrează datele dumneavoastră cu caracter personal prin mijloace automatizate furnizate de dumneavoastră prin acest document, respectiv: numele și prenumele, data nașterii, cetățenia, număr telefon, adresă email, semnătură, seria și numărul actului de identitate. . Datele dumneavoastră sunt necesare având în vedere activitatea societății de prestări servicii hoteliere și de turism. Conform Legii nr. 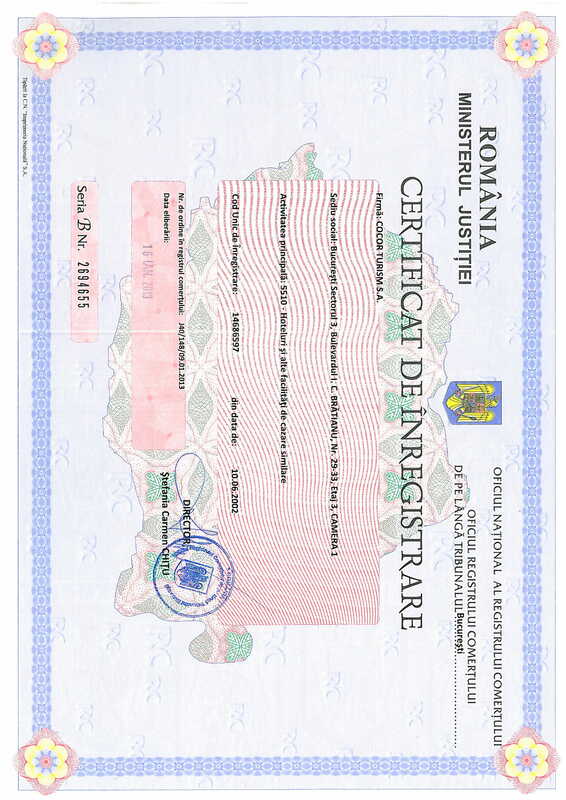 677/2001, beneficiați de dreptul de acces, de intervenție asupra datelor, dreptul de a nu fi supus unei decizii individuale. Aveți dreptul să vă opuneți prelucrării datelor personale care vă privesc și să solicitați ștergerea datelor. Pentru exercitarea acestor drepturi, vă puteți adresa cu o cerere scrisă, datată și semnată către: S.C. Cocor Turism S.A. – în atenția dnei. Popa Liliana, la adresa: București, sector 3, B-dul IC Brătianu nr. 29-33, etaj 3, camera 1. De asemenea, vă este recunoscut dreptul de a vă adresa justiției. 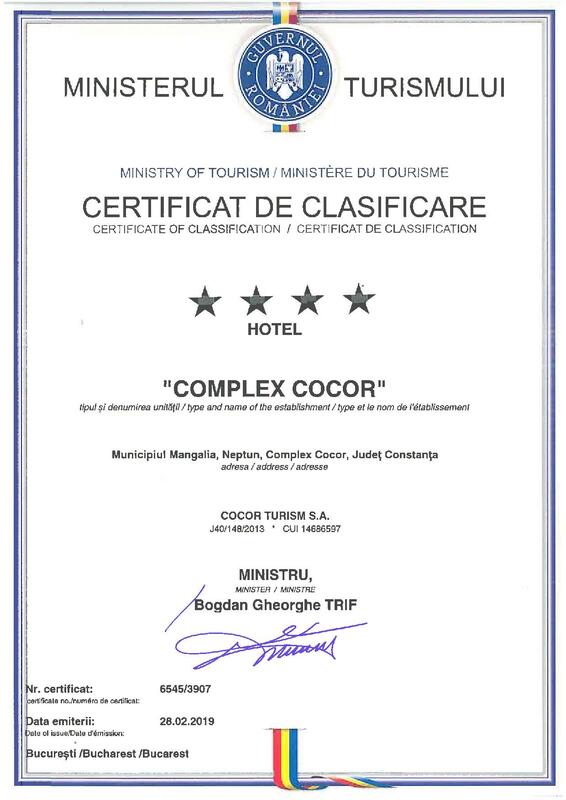 Numărul de înregistrare al Cocor Turism S.A. în Registrul de evidență a operatorilor de date cu caracter personal este 8097.